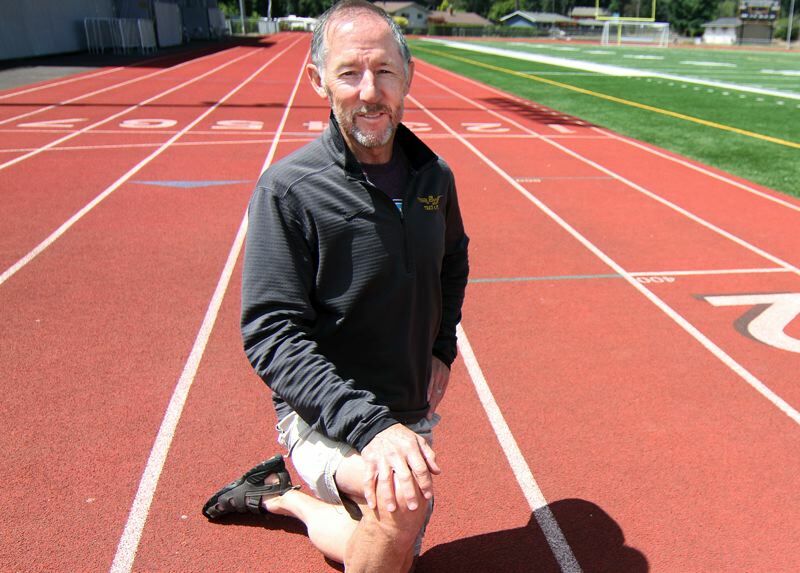 Longtime St. Helens track and cross country coach Gerry Tinkle has reached the finish line. 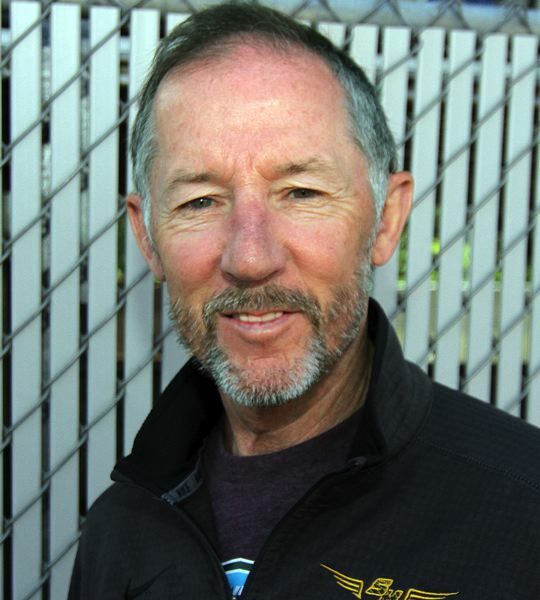 Tinkle, 65, who led the Lions track program from 1982-2014 and its cross country teams from 1982-2017, announced his retirement at the end of the 2017-18 school year. When you add in the handful of years he helped coach the track and cross country teams at Central Catholic — including three as head track coach — he served a total of 45 years coaching track and field and another 37 coaching cross country. Regarding his long and successful coaching tenure — he also taught English the entire time he was at St. Helens — Tinkle knew exactly why he stayed so long. "Every day, even with teaching, I got to go and play. It was fun," he said. "I never dreaded coming to school. I loved working with the kids we had and the other great coaches I worked with." A Portland native, Tinkle grew up in Northeast Portland and attended Central Catholic High School, playing football and running track for the Rams, capping his high school career by taking seventh as a senior in the 440-yard race at the AAA state meet. Tinkle then started his college career at Mt. Hood Community College. He ran both cross country and track at MHCC, reaching the conference meet in the intermediate hurdles and running as the seventh man on a cross country team that won its conference (though injury prevented Tinkle from competing at the conference meet). After being drafted and spending a year in the armed forces, he transferred to Portland State University — which had dropped its track and cross country teams the year before — and eventually graduated with degrees in English and secondary education. After that, he began his professional career teaching English at his alma mater, Central Catholic, from 1978-82, as well as coaching track, football and cross country. "I always wanted to be a teacher," Tinkle said. "I've always loved being in the classroom. I loved the teaching part." Even then, however, Tinkle had his sights set on Columbia County. He and his wife, Kathy — now married 43 years — had already purchased property in Chapman and Tinkle was aiming to land a job at either St. Helens or Scappoose High School. 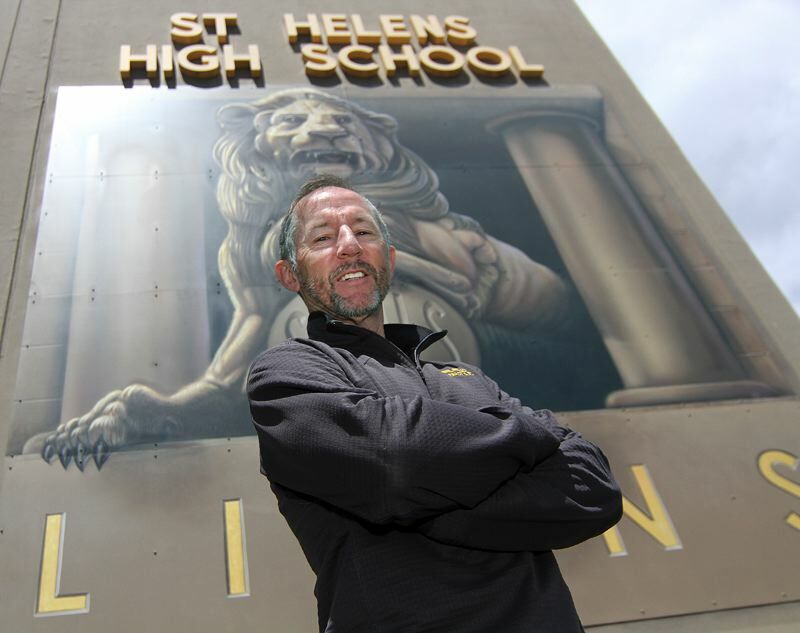 Luckily for almost two generations of St. Helens athletes and students, Tinkle was hired at SHHS and officially became a Lion in 1982. "I really like the small towns," he said. "Nothing against the big towns, but I always wanted to raise my kids in a small town." While he taught and coached at SHHS, he and Kathy also raised a family together, including their son Aaron (who now lives in Portland), daughter Emily (who teaches and coaches track in Hillsboro) and their late son Brian (who was killed in a car crash back in 2003). As much as he could, Tinkle tried to involve his family in his coaching life, while at the same time, recognizing that his love of coaching came at a price. "I had to sacrifice a lot of family time to do this, to coach," Tinkle said, "So I tried to involve them as much as I could, and then in the summertime, everything was about the kids and family." "I was tremendously fortunate to have the kids and friends I've had and I was fortunate to land in St. Helens." Tinkle also had some great athletes who helped him make some great track and cross country teams at St. Helens. During his long tenure with the Lions, Tinkle's boys cross country teams won nine league championships and three state trophies, while his girls cross country teams won three league titles and one state trophy. Tinkle and his teams were even more successful in track, with the St. Helens boys winning seven league championships (including two in the Class 6A Three Rivers League) and five state meet trophies (including the 2007 Class 5A state championship), while his girls teams captured 11 league crowns (including seven straight in the Cowapa League from 1984-91) and one state meet trophy. Among those, Tinkle considers the following teams his best. • 1985 Girls Track: The '85 Lions won the Cowapa League and went on to finish third at the AA state meet, that group led by Cheryl Anderson's long jump championship at 18 feet, 2 1/4 inches, and a second-place finish by the 4 x 100-meter relay team of Maxine Cave, Anderson, Sue Eagleston and Angela Griffith) at 50.23 seconds. • 2005 Boys Cross Country: The '05 Lions won the Three Rivers League title and rolled into the Class 4A state meet as one of the favorites, but injuries — including one that occurred during the meet — relegated the team to 10th. Team members were Kevin Elder, Brian Saxe, Nick Orvis, Kyle Saxe, Griff Curtis, Ryan Waite and Ben Krause. • 2006 Boys Track: The '06 Lions won the Three Rivers title and later finished fourth at the Class 4A state meet, with Waite winning the 800 at 1:50.67, and the 4 x 400 team of Orvis, Nic Barnes, Saxe and Waite winning with a 3:21.28. • 2007 Boys Track: In their first year as a member of the Class 5A Northwest Oregon Conference, the Lions made quite a splash, winning the NWOC title and going on to win the 5A state championship. Carson Bartlett led the way at state, winning the long jump at 22-1.75 and the triple jump at 45-3.25, and placing second in the high jump at 6-6, while Barnes was second in the intermediate hurdles at 38.22. That said, Tinkle always valued his dual meet teams — because of the way they involved so many of his athletes in pursuit of the same goal — and their success more than district or state results. "I was always a dual meet guy," Tinkle said. "I just wanted to get kids out for the team and help make them better. Those things, the league titles, were always the most important to me." Along the way, Tinkle and his fellow coaches got to work with some great athletes — a lot of them. Among his best and favorites are: Waite, a two-time state champion in the 800 (2005-06) and one-time state meet record holder who later ran at Oregon and Brigham Young University; Dakotah Camberg, a two-time state high jump champ (2017-18); Byron Howell, a three-time state champ in both the 100 and 200 that Tinkle coached at Central Catholic (he later played football and ran track at Washington); Josie Hanna, an NWOC district champ in cross country and St. Helens' school record holder in the 800 and 5,000; Bartlett, winner of the long jump and triple jump in 2007; Katie Elliott, state champion in both the 100 and 200 in 1999; Leslie Luttrell, who won the state championship in the javelin in 1987; Ryan Byrd, winner of the state 1,500 meters in 2012; Jim Reeves, winner of the state 100 title in 1993 and now a St. Helens volunteer coach; Will Lawrence, a three-time state place-winner in the 400, and later, a three-time conference champ in the 800 at George Fox; high jumper Maxine Cave, St. Helens' school record holder at 5-6.75 in 1984; and Angela Griffith, St. Helens' school record holder in the 200 at 26.04 from 1984. Besides their accomplishments, Tinkle also looked back fondly on the incredible leadership qualities some of his athletes displayed. "Ryan Waite was a once-in-a-lifetime kid," Tinkle said. "He was a great leader. As coaches, we just sat back and let him lead the team." Regarding Elliott, Tinkle said "She was a dream to coach and she had such a positive attitude. She was just so much fun. She got everybody going. She was a really good leader." All those great teams and great athletes aren't just a product of one man's efforts, though, and Tinkle knows it. He credited his relationship with former St. Helens track coach and athletic director Gene Strehlou for his early success, and since then has established long professional associations with coaches Bob Williams (distances — he's now at Clark College), Jim Crislip (sprints), Patrick Logan (sprints/jumps), Corey Young (javelin/sprints) and Naomi (Calkins) Reedy (she's now the St. Helens cross country coach and also took Tinkle's old teaching job), many of them former Lions who came home to coach with Tinkle. "I've had a lot of great athletes and a lot of great people that weren't great athletes but who became lifelong friends," he said. "I was tremendously fortunate to have the kids and friends I've had and I was fortunate to land in St. Helens." But now, with retirement becoming more real each day, Tinkle and his wife are looking forward to traveling (first to Hawaii in October, then on a European river cruise a year from now), spending time with their grandchildren and living with less stress. That said, Tinkle said he will serve as an unpaid, occasional volunteer at St. Helens next year. "It's just been fun all these years," he said. "I don't really want to stop coaching, but it just seems like it's time."